The inaugural WSF Championship is now down to just eight players in Malta, one of whom will leave on Saturday night having secured their place on the World Snooker Tour for the next two seasons. 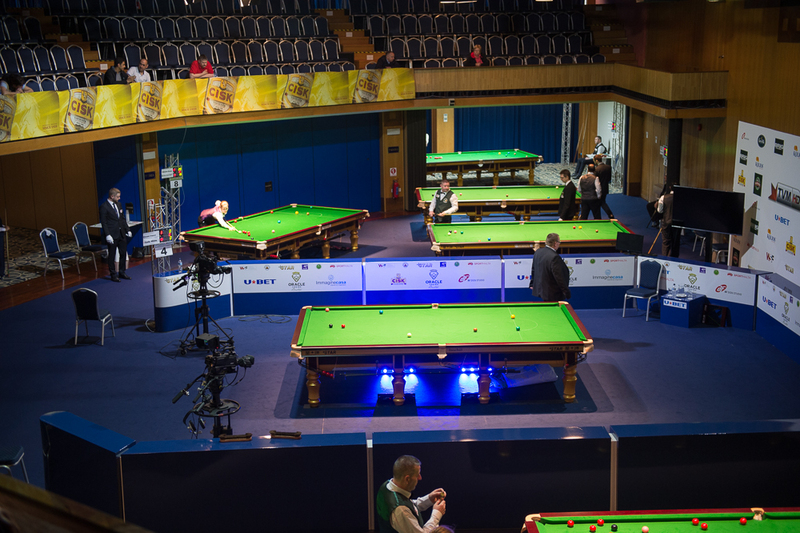 However, with four tantalising places at next month’s professional World Championship qualifiers on offer for those who can make it to tomorrow evening’s semi-finals, the pressure is already on as we enter the business end of the tournament. Among the first players to book their places in the last eight this evening were Poland’s Adam Stefanow and former professional Igor Figueiredo, who will now meet with a place in Sheffield at stake tomorrow. Playing on the main table against the last of the Maltese players in action in their home country Duncan Bezzina, Stefanow closed out a comfortable 4-1 victory with breaks of 70 and 52 to progress. It was a similar story for next opponent Figueiredo who following a number of close early frames against Irish former pro Michael Judge, stepped it up a gear with runs of 86 and 89 to secure the win. The highest break of the evening was made by Iceland’s Kristjan Helgason, who made 101 in a swift 4-0 victory against Marcin Nitschke of Poland to move into the quarter-finals. There he will face Kishan Hirani, one of three Welsh players to come through a deciding frame during a memorable 15-minute spell late Thursday evening. Hirani saw off Singapore’s Lim Chun Kiat following a tense final frame to move to within a match of qualifying for Sheffield. In the bottom half of the draw, the second of the evening’s Welsh winners Alex Taubman edged out former professional Kuldesh Johal 4-3, celebrating an important victory with a fist pump as he potted match ball. Awaiting him in the quarter-finals will be another former main tour player, Poland’s Kacper Filipiak who hit a top break of 76 in a 4-0 whitewash of Scotland’s Michael Collumb. The final quarter-final match will see 23-year-old Jamie Clarke – looking to make his breakthrough onto the main tour for the first time – take on the impressive Chinese youngster Luo Honghao after the pair came through their matches this evening in contrasting fashion. For Clarke, a nail-biting final frame against Belgium’s Kevin Hanssens, settled by a gutsy pot on the final pink with the rest to take a 4-3 victory, while teenager Luo was a dominant 4-0 winner against Ireland’s Thomas Dowling to progress. The quarter-finals get underway at 11:00am local time, with places in the semi-finals – and more – to be decided as the tournament enters its penultimate day.